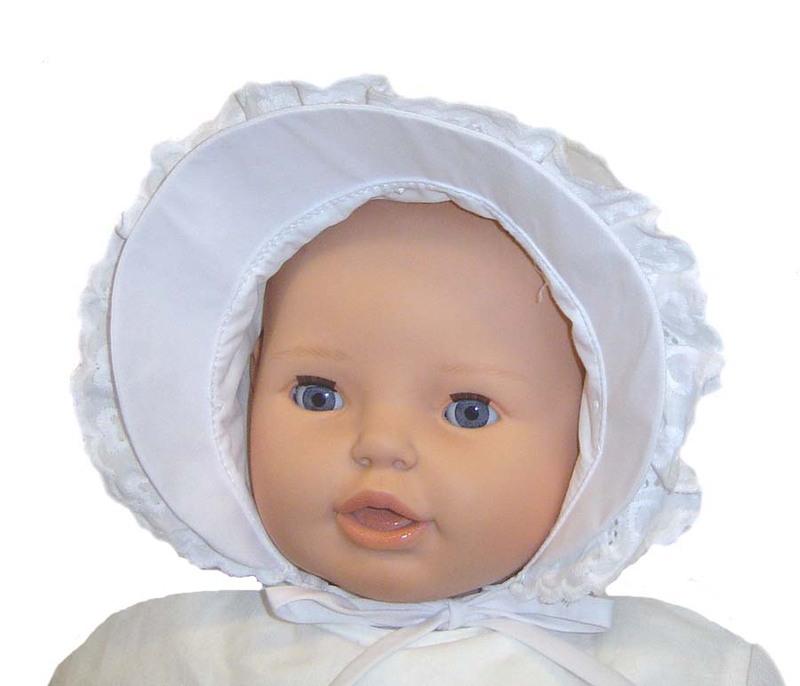 This darling new bonnet features a scalloped front framing the face and a heart shaped closed crown trimmed with lace. Embroidered hearts, openwork, and tiny white bows accent the eyelet sides and top. The bonnet ties under the chin with fabric ties. 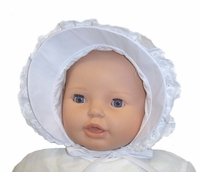 This would be a lovely christening bonnet or the perfect bonnet for your baby's portrait or any special occasion.